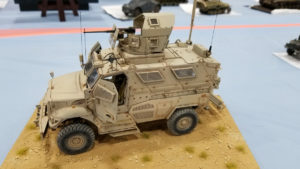 MosquitoCon 28, on April 6th, 2019, saw over 600 visitors and entrants, with over 500 models on the table. We’re still processing the hundreds of photos taken at the event, but in the meantime, below is a list of all of the “Best Of” winners, with their photos. Thank you again to all who attended and continue to make MosquitoCon such a success. See you in 2020!